Good show guys. I remember the tour and thought they played so well together. I did think to myself at the time that Igor fitted in extremely well and agree fine wizard playing with the correct sounds. Billy was at the back watching and learning for most of the time, filling in that Big sound, I do remember thinking though why do we need an extra Yes man I was a little confused. It all makes more sense looking back now. Listening to the show again is terrific, like to agree with you both just how good Yes sounded. I took quite a few photos on this tour and saw three gigs I think. 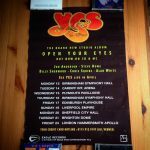 An interesting period for Yes and their fans as you just never know what’s going to happen next re releases and set lists. You can hear how tight they are, makes you very happy. 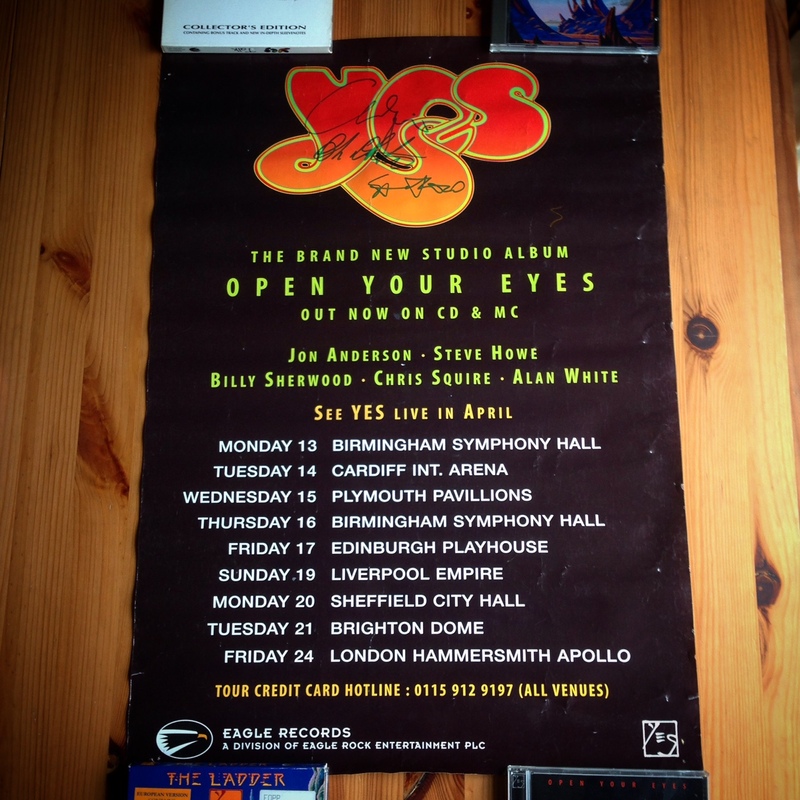 The OYE tour was significant for Yes fans in Europe because the band hadn’t played here since “Union” in 1991. Before and after that, the band seemed to have curdled and separated. As a denizen of Usenet’s alt.music.yes throughout the nineties, I was aware of the classic lineup’s reformation and San Luis Obispo shows in 1996 and developed an intense appetite to hear them, fully expecting a UK tour with these five players and performances of “That, That Is” and so on. So, in 1997, this dream crumbled and it seemed to have been tantalisingly whipped away from me. So, when the UK dates were finally announced, with this odd lineup and strange combination of albums to promote, Yes performances here were still such a rare commodity that I booked to see two shows. From the second row at Newcastle City Hall in Spring 1998, I saw a band I’d built up a thirst for over the preceding seven years, and had the time of my life. Every time I’d seen Yes since my first, in 1980, they’d invariably play the new album plus staples from The Yes Album and Fragile, plus “And You And I”. Finally at SLO, they’d aired some other neglected material. And so, in 1998, I eventually heard Yes play “Siberian Khatru”. This was important: A couple of decades’ patience was paying off. I was lucky enough to see them play “Children of Light” once or twice, and ended up seeing four shows in total. Why am I sharing all this? I think it demonstrates that the warmth that this tour is remembered with is because it marked the band returning to duty in the UK and Europe after a painfully long absence with a repertoire that rewarded those of us who’d waited. The band seemed to be relishing the contact and chose to play a long string of dates in civic theatres rather than fewer larger gigs. It was a happy time. Hello people. Very shortly. The tour was fantastic with a very good sound and v good set list too!!!! About yr questions. Billy was a ghost;almost impossible to see him; so not look at all like a 6 members. (Only played guitar part in Owner). About Igor; I think he was better than anyone to replace Rick. Best after Rick. The new songs were very good and;as always; the band could improve comparing with studio version. Wish you all a Happy 2019! !!! This was one of the most confusing periods in Yes’ career. First was the excitement of the San Luis Obispo concerts. Then Keys to Ascension came out and we loved the studio tracks. Then Keys 2 comes out and the studio tracks were even better. Then Open Your Eyes comes out and everyone was horrified. It made no logical sense whatsoever except if you consider the curse of “Owner of a Lonely Heart” and the 90125 phenomenon. What happened was that after 90125’s success Yes’ forever longed for the mainstream success and the huge profit returns that this album enabled them. Keys 1 and 2, which happened because Rabin folded shop after the economic failure of Talk and the drying up of audiences on the tour, had been a brief return to uncompromising art, then immediately comes Open Your Eyes which seemed to be a complete sell-out to commercialism. 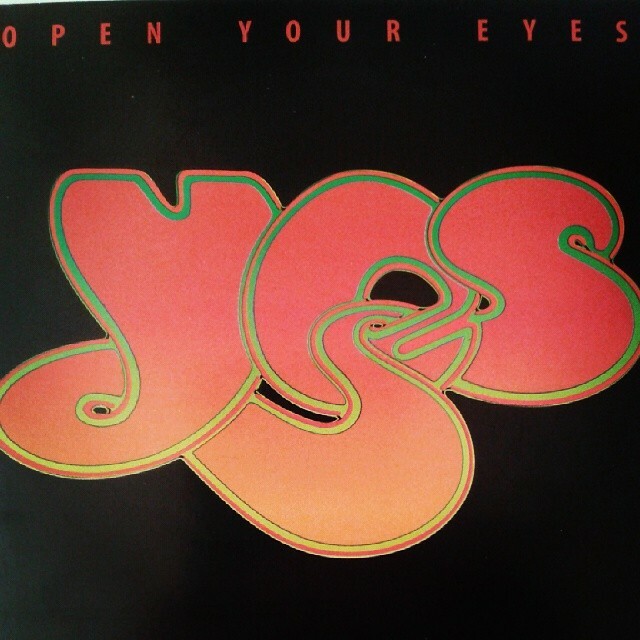 In retrospect, there are a lot of good songs on Open Your Eyes but as an album it continued the 90125 tradition of erasing Yes’ legendary instrumental passages from their compositions, and the arrangements were plodding and lacked much variety. The best thing on it, in my opinion, was Billy and Jon’s “Universal Garden” and the hidden ambient track that featured the sounds of nature with occasional blasts of A cappella vocals from the album’s various songs. As for the tour, the lack of music from the Keys studio sessions was hugely disappointing, and not much of Open Your Eyes was played either, not even the best track. 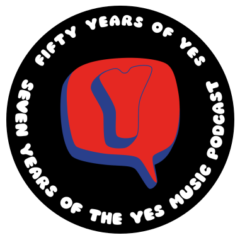 This meant that Yes had three albums of new material out and was largely ignoring it. However, because the tour was going to feature “The Revealing Science of God” all was forgiven and we followed Yes around the East coast (USA) to see it performed. I even snuck into the sound check before the first night of the tour and they played the entire “Revealing.” It sounded good but we noted that the keyboards were not that audible. Later on we read an interview where Igor said that Jon Anderson had made it be known that he didn’t like Rick Wakeman’s sounds and asked him to change them (to something less piercing I would imagine). All I can say is thank God for the Budapest, Hungary video as that was mixed with the keyboards up front so we could actually appreciate them. Otherwise, it was decent concert– a little bit “greatest hits” for my tastes, but “America” and “Revealing” were nice to hear. Can someone please recommend one or two shows from this period that have the best balance of performance & sound quality? I went to what I believe was the second Hammersmith show and didn’t enjoy it at all. We were sat in the midst of noisy, drunk 20 somethings who were apparently there to hear the “hits” and anything unfamiliar was going to get short shrift. I remember being disappointed that Chris was settling for a far more traditional role on the newer songs and It also struck me at the time that Jon A was a bit indifferent about the older material. I say this is someone who had loved the Keys releases and loathed Open Your Eyes almost as much as I had hated Talk. On a trivial level I was alson really shocked at how much they had seemed to have aged since Union. It was a long time before I saw another Yes tour so it definitely had a negative impact on me though I did spring for the Living Tree tour a couple of years later. Anyway …. maybe I wasn’t in a good place to appreciate what they were doing in 98 so please point me towards something representative. Well I’m very much into the bootleg shows from Japan from this tour. They were near the end of 98 I believe…also there are a few good ones (Soundboard quality) from San Diego, California. Great stuff. You can probably find the San Diego one on Youtube…but the Japan shows..especially Osaka. .is much harder to find….but worth the search. Thanks for that Mark. I’ll have a root around for those. Will be interesting to listen again to the same show 20 years later. I am pretty sure I had it wrong or went on a less than great night. The Budapest tv soundboard is really magnificent. I can’t really be doing with the post 70s material in this set list but the classics are played with an an energy, pace, passion and precision that really surprises me. Not OYE but here’s a short Igor story for you. In October 1999 I saw Yes on the Ladder tour at the Sunrise Musical Theatre in (the heart of) Sunrise, Florida – a lovely intimate theater, and perfectly named for Yes, which is sadly no longer a music venue but a church! When they finished playing Awaken, Igor had been so good that a chant of “Igor, Igor, Igor” went up around the theater (me included) and held up the gig until he took a bow. Great stuff. Thanks you so much for this podcast! Had no idea that YES was this good, this powerful, in the late 90s. I wish I had gone to see them on this tour. I’m blown away by this YouTube remaster. Alan White, especially, sounds great. And Igor – wow – now I get it. Kevin and Mark, I was delighted that you decided to give the OYE tour remaster a listen for this episode, and couldn’t agree more with all of your comments and observations. I was fortunate to attend this tour on October 22, 1997 in Virginia. 6 is best! I have very fond memories of the OYE tour as I managed to see 4 gigs in the U.K. actually it may have been 5 …I need to check my dairies. This was my third official Yes tour that I had attended….I saw 1 …90125 show, 3 Union Shows and 4 ABWH shows. What struck me was that the OYE line up were so strong and could literally play anything from the Yes catalogue….this brilliance continued on The Ladder tour. What happened to Igor was very sad …but it was of his own creation. I remember saying to Igor backstage at the Liverpool Empire….” You are the best Keyboard player “ Yes have ever had …..and I still thinkImaybe right. I think that period for Yes was rather good. 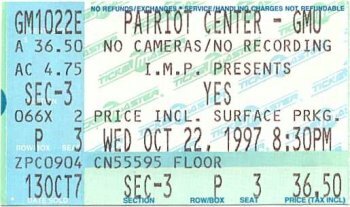 Perhaps a twopence worth discussion should be …which were the best live periods for Yes. I think this period is up there , plus 1978/79, 72/3…..84….and the rest. Hi, further to my original comments about this tour…yes Billy did contribute great backing vocals …as he did on the Talk tour, but he also did backup guitar. Now I seem to remember that he also had his guitar hooked up to be a syn and trigger for samples……..can anyone clarify what he did?